It has always been a custom for Indian weddings to start sweet. 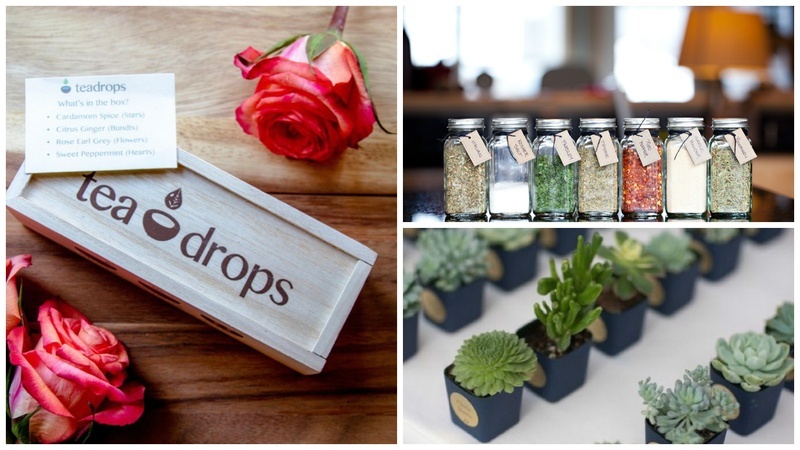 We gift wedding favours when inviting guests to a wedding, traditional or modern. Usually the most common favour to invite has always been the sweets. A box of sweets with the invite given personally by a family member is the usual norm. However, now that times are changing, young couples are becoming more involved with the planning and execution of their own weddings! The new generation of wedding planners (bride and groom), don’t stick to the traditional outlook of Mithai. They want excitement, originality and personalization to make their wedding their own style. So that they can remember their wedding the way they want and not like the hundreds of marriage ceremonies we have attended growing up, going for the food more than knowing the couple getting wed. In India, weddings have gone for a complete makeover. That change starts with the invitation. Wouldn’t it be more exciting for your wedding guests to receive a more up-to-date wedding invitation favour than just a box of sweets? Here we are with a list of mediums you can gift as favours with your wedding invitation. You may go high end if your guest list is limited to a hundred or two overall. Otherwise we have quite a few budget wedding favour gifts that are equally fun. You are guaranteed to have a more involved audience to the biggest day of your life! Have fun planning! Beach wedding is always unique and fun. We can get really creative with the favours but always keep in mind that you are gifting something that will be useful to your guests. Analyze who you are inviting and gift accordingly. beach wedding should always come with a liquor warning. There can be no more a useful gift than alcohol. Presentation is important. You can have miniature bottles as the favour. Tie a bow, have personalized labels or dress up a hamper with alcohol and edibles that go with it. You can also make personalized love potion Liquor as favours! Haha, candy can never get you a bad grade, especially if you go for salt and beach inspired candy that really talk your theme into your wedding invitation favour. Salt is a flavor quotient than can really give you an experience. I’m sure your guests have not tried these amazing flavored salt edibles! Let’s give them an experience they will remember. Any better way to send ‘BEACH WEDDING’, alerts than shades? Pair them up with beach accessories like flip-flops, and beachwear to make a hamper. Green wedding are trending the market right now. Couples are more conscious about the environment and want to send a message and do their bit to save the world. And, why not? For a wedding it’s a really new theme and the bride and groom can be really experimental with ideas. We have listed a couple of thoughts which can inspire you to gift a green wedding favour with your wedding invitation! Go green! Olive oil is a healthy and exotic option to have in an Indian Kitchen. Especially infused olive oils which are trending the market right now. do you want to budget your wedding invitation favour? Not to worry, we have a quaint option that will ‘wow’, your guests and give you a breath with expenses. Flavoured sugars are easy to make or order and make good gift hampers to impress! this is a very new trend in the market. Eco-Green jewellery is made up of miniature potted plants and flowers. They are cute and send a message too! You can order them online. This idea will not let your guests forget about ‘the save the world environment message’, that you wanted to give or your wedding as they have to take care of it! You can give them miniature potted plants, or go for large pots with exotic breeds for impact. Wedding Gift Favours with your Invitation for a Minimal Themed Wedding. Minimal Weddings are gaining the wedding market in India. After all the showy ‘Band Baja’ Weddings, couples are moving towards this new trend of minimizing their guest lists, decorations and personalizing the celebrations for a more impactful and memorable wedding. One cannot go wrong with this wedding favour. Package it into a hamper and you are good to go! They also make a budget favour idea. On the funny side they will smell really good on your wedding! These earthy products are a sweet way to invite for your wedding Celebrations. They are useful too! Don’t know far flung family members that well? Confused about what to gift them as favours? Candles will save the day! You can get them themed candles too. They look pretty, smell great and are easy to order and gift! This wedding favour will be loved and cherished forever! However it does require an investment. This Wedding Favour gift is most appropriate when you have a limited guest list of close family members. These are easy to order and pack into favours. If you buy in bulk the expense will also get reduced. When it comes to the price range furthermore you have a lot of options, so choose accordingly. Owning a tablet makes anyone’s life easier. It’s a carry to work gadget that reduces your dependence on a laptop. Be warned you may get ‘hug-attacked’ while gifting this favour! now here is a personal favourite. I would ask you to not go for the traditional watches, but for digital android watches in the market today. They come with a lot of features that can provide you with a fun and useful wedding invitation favour. There is no harm in going tradition with your favours. One can gift the following and still have an impactful wedding! Go exotic with your selection of coffee and you are guaranteed success! Take inspiration for packaging you wedding invitation favour and give your guests a happy reason to wake up in the morning. We are the largest producer and exporter of tea. And we drink a lot of it. However people don’t know that there are many exotic and unique tea blends that one must try. Go pick up some unique tea flavous and package them into a hamper! now we cannot have a more traditional and useful favour that this. Weddings in India is a well mixed flavor of spices, why not bring that to your gifting as well?